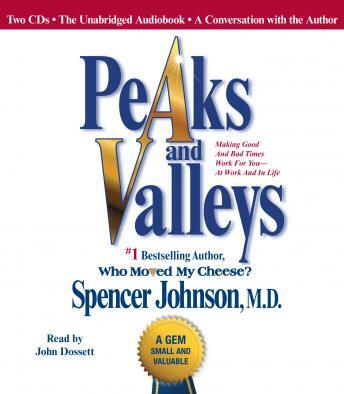 Peaks and Valleys is a story of a young man who lives unhappily in a valley until he meets an old man who lives on a peak, and it changes his work and life forever. Initially, the young man does not realize he is talking with one the most peaceful and successful people in the world. However, through a series of conversations and experiences that occur up on peaks and down in valleys, the young man comes to make some startling discoveries. Eventually, he comes to understand how he can use the old man's remarkable principles and practical tools in good and bad times and becomes more calm and successful himself.